We’d like to acknowledge and thank the organizations and businesses that have contributed to the success of Kanata Race Day. Their generous support is what makes this day possible each year. Click here to request the 2019 sponsorship package. All participants in the 10K, 5K and 1K must be registered to participate. Register online until 11:59 p.m. Thursday, June 6th, 2019. Tot Trotters simply show up at the race site! For group registration, click here to contact us directly. Registration: Registration must be completed in advance online only. Limited late registration is available in-person at the Saturday race kit pickup. However, only a limited number of timing chip bibs are available, so participants are encouraged to register early online. Parking: Please follow directions for parking at the race site. More information will be provided closer to the date of the race. *Limited onsite registration available at race kit pickup. For group registration click here to contact us directly. 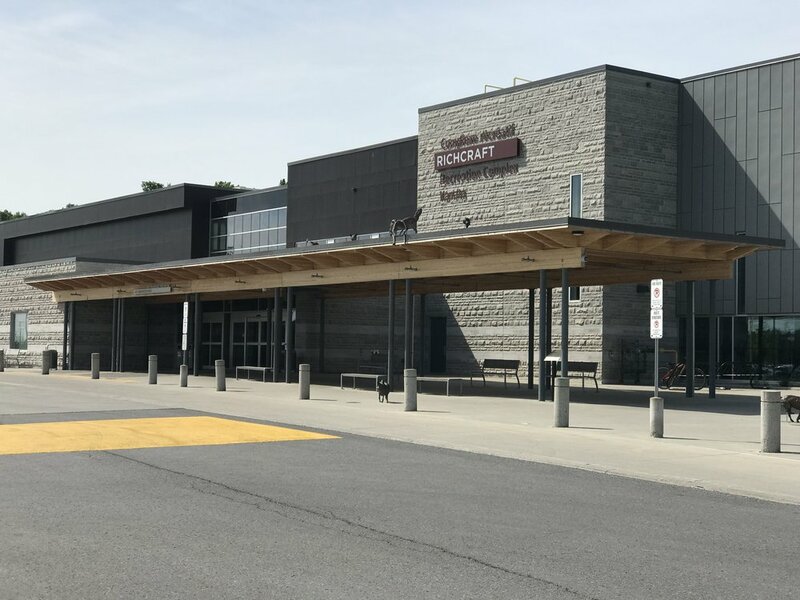 Fees for the Richcraft Kanata Race Day are collected and used to stage the race and to raise funds to support the ongoing initiatives of the fundraising committee of the Kanata North Recreation Complex. Timing for the 5K, 10K and 1K will be performed by Running Goat Race Timing. The Tot Trot will not be timed. 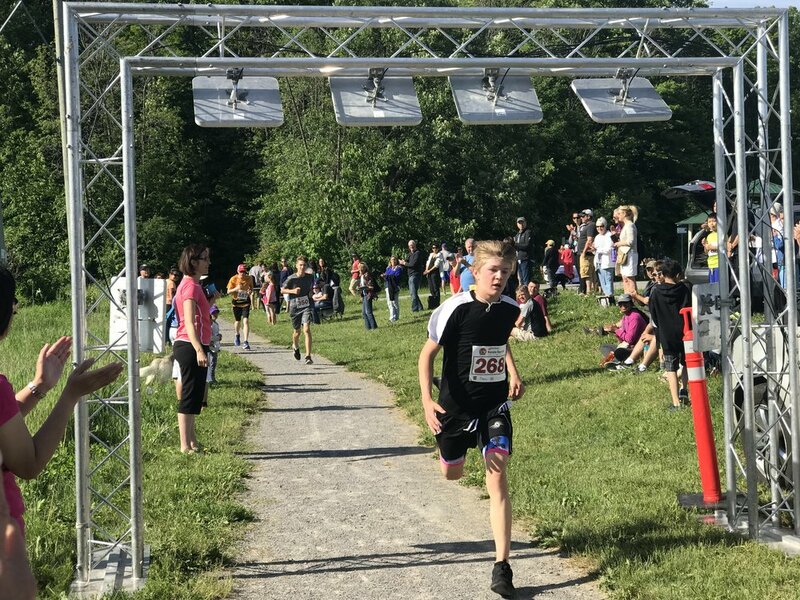 Results will be posted on the Kanata Race Day website by Monday, June 10. Our Pace Bunnies are back this year to help you reach your time goals. They’ll be racing in the 5K and 10K events. Details of time goals will be posted prior to the race. Walkers are welcome to participate but, due to time constraints, only in the 1K or 5K event. Please select the ‘Walker’ option when you register. 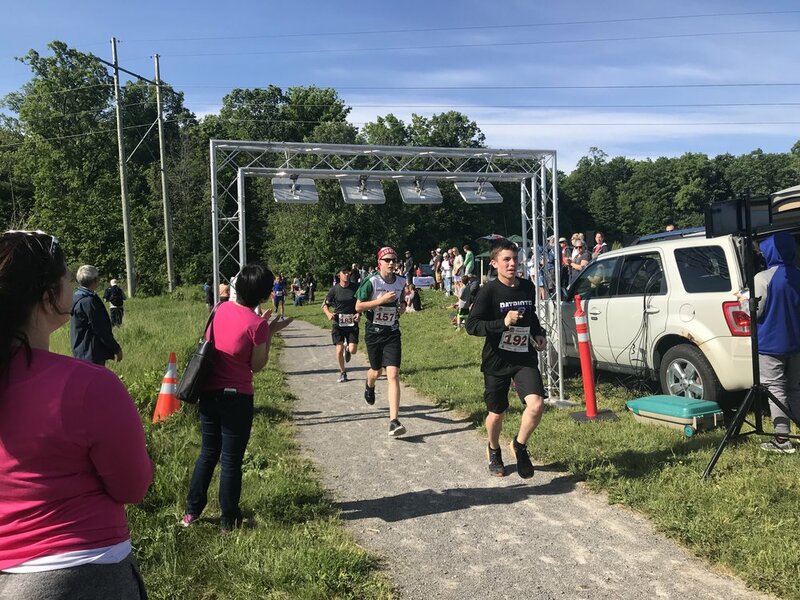 Runners will do an out and back loop and then be directed onto the Monk Conservation Trail for a little over 1K until they reach the finish line, The 5K does one loop, the 10K covers two loops. The 1K is an out and back route along Innovation Drive. 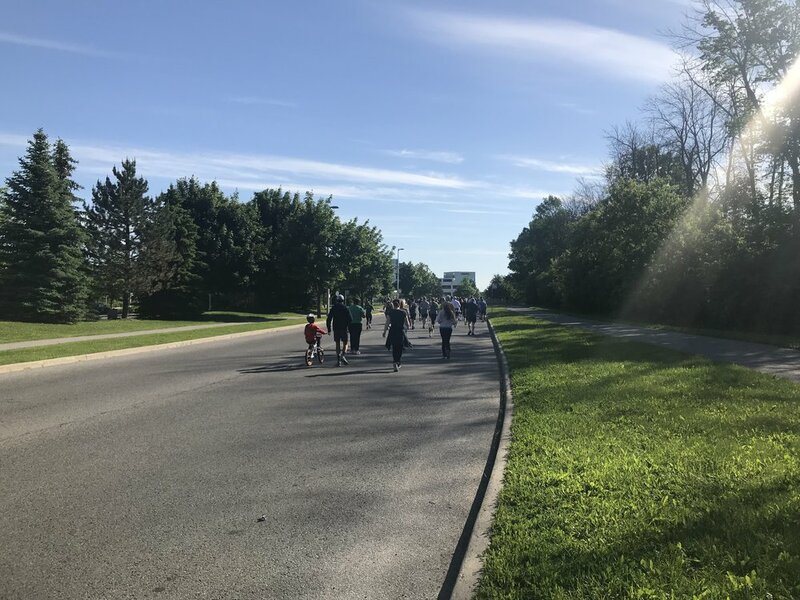 The 5 and 10K races start together and will follow an out and back course on Innovation Drive, Hines Road and into the Nordion Canada property utilizing their roadways. It will be coned and secured by adult volunteers, each kilometre marked with 2 water stations. 5K runners will do one lap, 10K runners will do two laps. The 1K will be staged on an out and back course along Innovation Drive, secured and monitored by adult volunteers. This run is for children 5-12 years of age. Parents who want to run with their children should not to register as a participant. There is an age restriction in place on the registration link through the link online to prevent this from being done accidentally. The 1K, 5K, and 10K events will be timed, using Running Goat’s services. You’re never too young to race! The Tot Trot is always good for those picture-perfect moments. From preschoolers, toddlers and babes in strollers, the Tot Trot is a 100m “run” that ends under the finish line arch. This event will occur on the soccer field at the Richcraft complex. 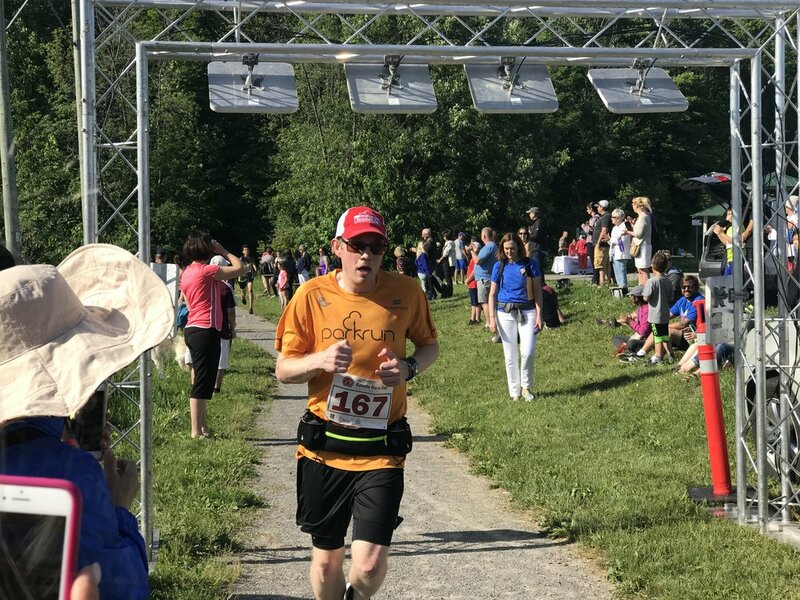 The Tot Trot is free and doesn’t require registration. Show up and you’re good to go! Please note: THIS EVENT IS NOT TIMED. Awards will be handed out immediately after winners have been declared in the 10K event for 1st, 2nd, and 3rd overall, men/women for the 5K and 10K races only. Awards will not be mailed out so winners may have a designate pick up an award on their behalf if they’re unable to stay. The 1k and Tot Trot participants will receive finishers ribbons. Kanata Race Day is organized by Councillor Jenna Sudds and KNRC Inc.